The oil & gas market is BIG. According to Forbes the natural gas distribution pipelines in the US alone could stretch from Earth to the Moon 7-8 times. 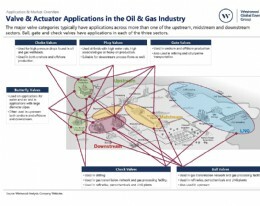 But just how big is the oil & gas market for valves and actuators and what is the forecast I hear you ask? Well the Westwood Global Energy Group in partnership with the BVAA has launched a report on just that. This has been released to our members and has proved an informative industry tool. This new BVAA service has increased in popularity recently with a plethora of downloads and enquiries over the past months which looks only to steadily increase as the days go on. 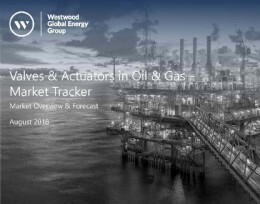 The report provides a concise and informative oveview of the valve & actuator market specifically in the oil & gas sector. The document also provides a market forecast, outlining the total expenditure within this area as well as detailed information about the critical valve types in oil & gas. A wide range of valve (and subsquent actuator) types are essential across the oil & gas sector, each with characteristics specific to the required use. 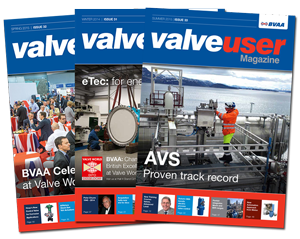 Therefore the report also outlines a comprehensive summary of each valve and actuator type and their unique applications. The report will be updated twice every year and is exclusive to BVAA Members only. Our statistics show a high number of BVAA members have already accessed this report however, we note that there are still a few of our members that are not making full use of this new feature. Could this be you? Contact us for more information. Additionally if you have any specific feedback about this document or similarly any suggestions for improvement these will be welcomed. Contact rob@bvaa.org.uk for more information about our market reports.